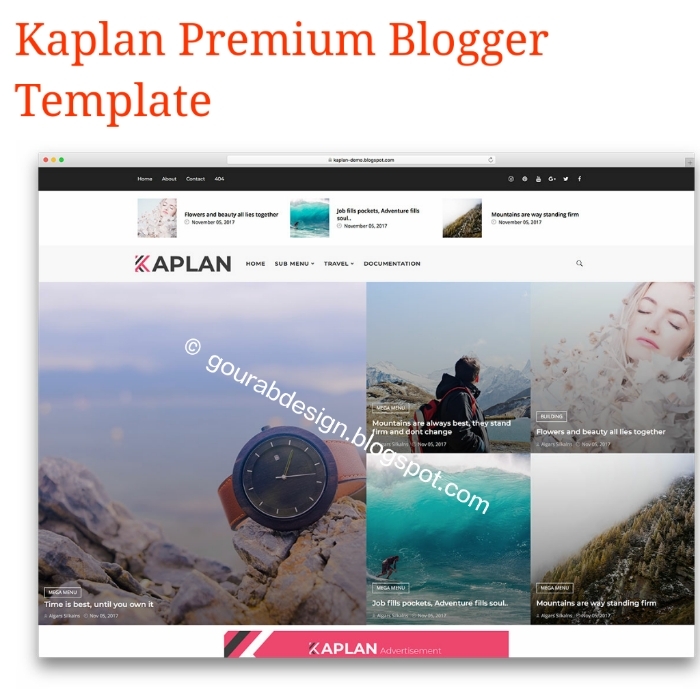 Kapln is our best Blogspot theme, completely free and personal use. It has multiple domains and widgets for ads like AdSense or other ads. This topic has been published recently, but it has been widely known for thousands of users who jump in the first. Kaplan seo friendly blogspot theme is a modern and unique blog with 100% Centralized Seo, with clean design and personalized typography and colors. There are many ways to show your content. Ad space is ready to make money in your magazine and the most important is the best Seo model on the market. It is very easy to use and everything you need is explained in detail in the subject documentation. It has special features and widgets. We hope you enjoy fun and post your articles. Our customizable model is completely customizable, mobile and very easy. Each template allows you to select widgets, such as social icons and post-sliders. must be installed on your website. If you are not sure what it means, do not forget to contact us.